One of the benefits of an integrative health practice such as ours is that we focus on long-term health, not just on dealing with immediate symptoms. That means that we take an interest in advising you on how to avoid potential health challenges in the future. There is some clear research from a 35 year study of 2235 people, published in 2013 by Cardiff University, that indicates that there are ways to reduce dementia risk. Today we’re going to discuss those. If you integrate the five following healthy habits into your life, you will drop dementia risk by 60%. Not only that, there are other significant health benefits in making these lifestyle changes that add up to a 70% reduced incidence of heart disease, stroke, and diabetes. You know that eating healthier can make you feel better, and make you more resistant to colds and flus that are going around. You also know that eating healthier reduces your likelihood of obesity. However, many people don’t realize how significantly their eating choices impact their quality of life as they age, or even how long they will live. There’s a saying in Chinese medicine: “it’s too late to dig a well when you’re already thirsty.” If you wait until you are getting older and experiencing serious health issues to correct your diet, it may be impossible to attain the vibrant state of good health that you could otherwise enjoy. It is possible to stay quick-witted, active, and enjoying life right up through your century birthday, if you develop healthy habits early on. Your eating habits are arguably the most important. Keeping your alcohol intake low seems to be the best choice for both longevity and avoiding dementia. Abstinence seems to be linked to a higher incidence of heart disease and early death, but so is high alcohol consumption. There is also evidence that moderate alcohol use (two or fewer drinks per day) may be associated with reduced risk of stroke and diabetes. However, higher amounts of alcohol consumption has been associated with risk of several forms of cancer. The American Cancer Society recommends limiting alcohol to no more than one drink per day for women, and two for men. Remember that alcohol in all forms is very high in calories, so high alcohol consumption also puts you at risk for obesity. If you follow steps one and two above, eating a healthy diet and keeping a low intake of alcohol, you will probably already be on track for keeping a healthy body weight. If you’re struggling with weight gain, adding in step number four below will be enough for most people to achieve a healthy weight. If not, you may have genetic or medical factors that need to be looked at by a doctor. Be sure to read our other articles on weight loss. You’ve heard it before: stay active. The best short-term payoff is how you feel, but the best long-term payoff is the quality of life you’ll have as you age. One of the healthy habits that has been proven to reduce dementia risk is getting regular exercise. This could mean going to the gym, but it can also mean simply taking regular walks, going for a swim, or doing another activity that you enjoy. You probably could have guessed this last healthy habit. Smoking has a definite correlation with dementia risk. You probably already know several other health benefits related to non-smoking. It’s particularly important in a large city such as here in Hong Kong to avoid smoking, since we are already exposed to a high level of environmental toxins from auto exhaust and other pollutants. If you consistently follow four or five these healthy habits, you can expect a 60% reduction in dementia and cognitive decline. Exercise was the strongest mitigating factor, according to the study. You may also want to watch Dr. Jamieson’s presentation about the SAND Conference in California, and what was discussed there about Alzheimer’s. 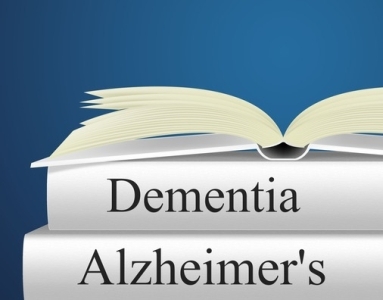 It offers additional steps you can take to reduce your risk of Alzheimer’s and Dementia.